"More than one fifth of all Bauma participants in 2016 was from the mining sector," event organisers Messe München state on their website. 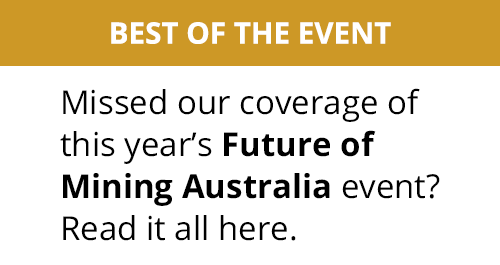 "684 exhibitors and 138,929 visitors used the event to establish new contacts and close deals." Along with the new crushing and screening solutions, Metso will unveil what it describes as "a ground breaking innovation for off-highway trucks" which will enable mines and quarries to haul more with less. This product launch will expand Metso's offering into completely new territory and help customers reach a higher payload while lowering their operating costs. JDPS will be showcasing its Industrial Stage V engine lineup. This includes its variable-speed engine families below 56kW (75hp) and above 130kW (174hp) as well as its constant speed engine families. 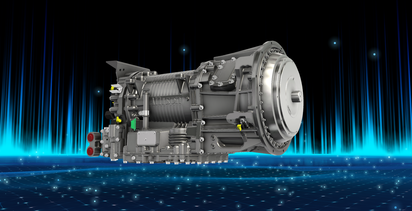 The Industrial Stage V lineup offers ratings from 36 to more than 500kW (48 to more than 670hp) with displacements of 2.9L through the upcoming 13.6L. As both an engine and machine manufacturer, John Deere boasts 1 billion hours of global experience with diesel particulate filter technologies which it says forms the basis of its proven emissions solutions provided to OEM customers. "Through each consecutive stage of emissions regulations, John Deere has provided solutions that addressed key customer needs. These included increased uptime, low operating costs and applies to Stage V," said Sandrine Couasnon, manager, marketing services and sales engineering for Europe, Africa and the Middle East at JDPS. Stage V aftertreatment technologies from John Deere are optimised for flexible integration and several offer reduced packaging and weight from previous Stage IV solutions. And because the technologies are built on the same engine platform as current Stage IV solutions, the need for OEMs to re-engineer due to hardware or mounting changes is reduced. "Our goal is to continue to provide a strategic advantage to our global OEM customers as we move into Stage V, just as we've done with prior regulation changes," Couasnon said. "And with our worldwide service network of more than 4,000 locations, customers can find support wherever it's needed." Once again Liebherr has big plans for its outdoor exhibition area. Amongst many other products, the company will unveil INTUSI, its INTeractive USer Interface which it says will "revolutionise the communication between and with construction machines". INTUSI connects Liebherr construction machinery and material handlers to the Internet of things (IoT) and combines intelligent operating logic with machine intelligence. The objective during development was to provide machine operators with a future-focused machine interface with Liebherr's characteristic transparency and clear overall logic. Going forward, INTUSI will used in all Liebherr earthmoving machines and material handlers. Liebherr will also present a range of intelligent assistance systems for its XPower large wheel loaders. These include a new active rear person recognition and a sensor-supported, integrated tyre pressure monitoring system, as well as an intuitive steering system that will be available for all mid and large series models as of April. At the beginning of the year, Liebherr-France SAS in Colmar, France, started the production of its latest generation of earthmoving crawler excavators. The first phase of the Generation 8 roll out comprises seven new models of between 22 and 45 tonnes. 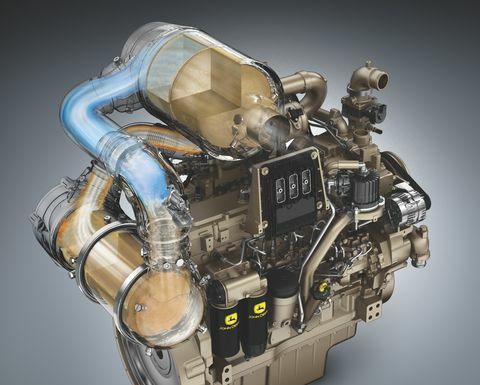 The R 934 that will be presented at Bauma has an engine that complies with Stage V emission standards. 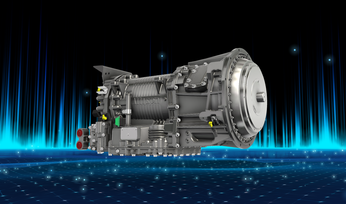 Weighing approximately 35t, the R 934 achieves an engine output of 200kW / 272hp and will be available worldwide with an engine to suit the relevant country's emission standards. 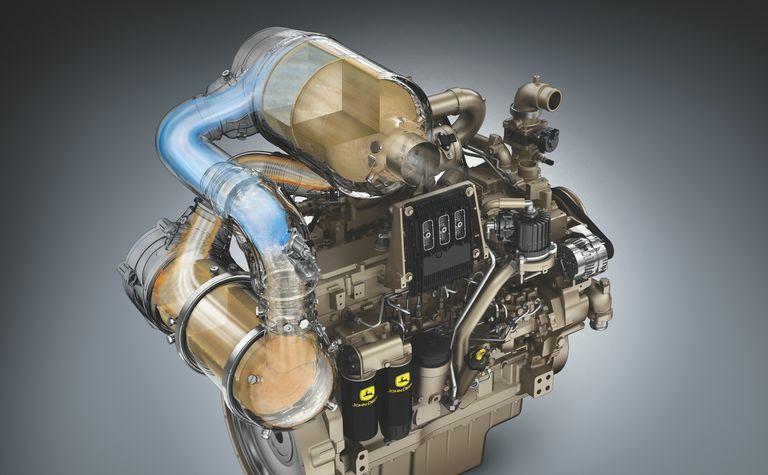 Volvo Group's engine specialist, Volvo Penta, has been working on its Stage V engine range for off-road applications. The company said in a press release: "Volvo Penta has responded to the introduction of the world's toughest emission regulation, Stage V for Europe, valid from January 2019 with a sophisticated new range of engines offering easy installation, operation and maintenance - all while meeting the stringent requirements." One major driver in the development of Volvo's Stage V range has been ensuring the engines and exhaust aftertreatment system work seamlessly together. This maximises passive regeneration during normal operation and, therefore, removes the need for stand-still regeneration, boosting customers' uptime, productivity and profitability. "In our new Stage V range, the engine and exhaust aftertreatment system work in perfect synergy forming a powerful unit that meets the demands of many different applications, especially when conditions are challenging," said Giorgio Paris, head of the industrial business segment at Volvo Penta. At Bauma, Volvo Penta will showcase its full range, including the new Stage V D5, D8, D11, D13 and D16 engines which offer power from 105 to 585kW (143-796hp). 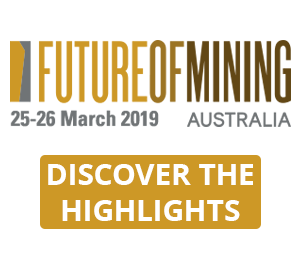 For those interested in attending the event, Mining Magazine will be running a full Bauma preview online at MiningMagazine.com in late March.